Thank you cannot begin to describe my very deep gratitude to you all!! 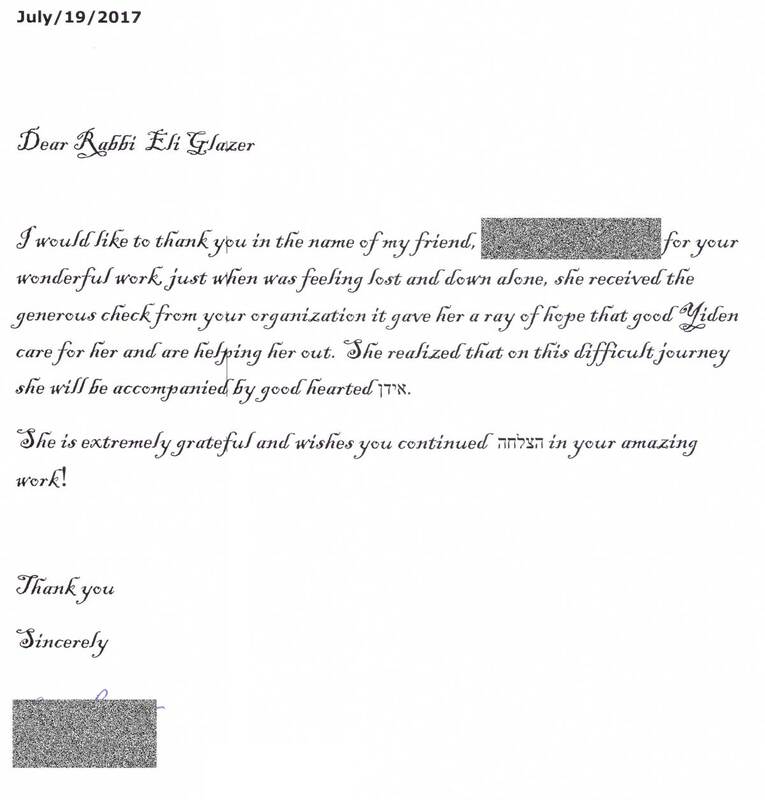 B”H with your fantastic help my daughter’s wedding was beautiful and joyful!!! 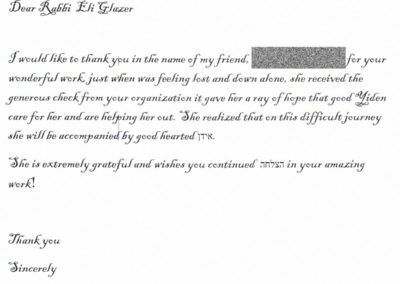 Your great help gave me the peace of mind and the ability to marry off my girl with Simcha and respect. 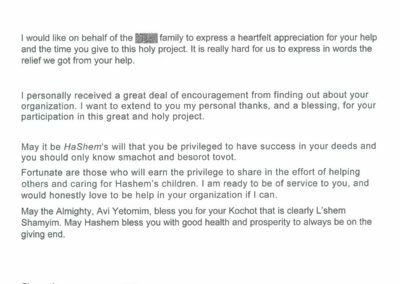 Thank you again for the help in the past, and may Hashem help me to marry off all of them with such dignity as you had provided me. 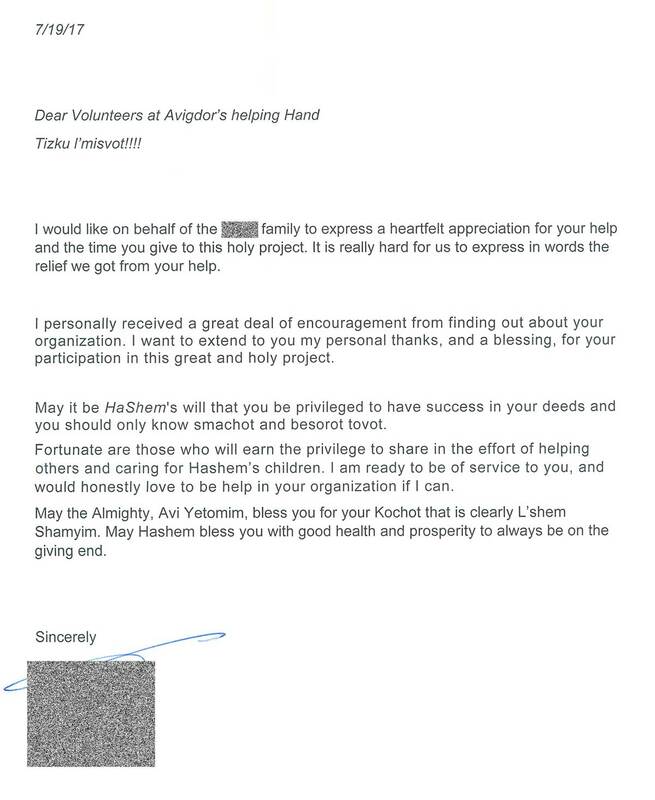 May you always be busy with simchas!! Amen V’amen! Gut voch! 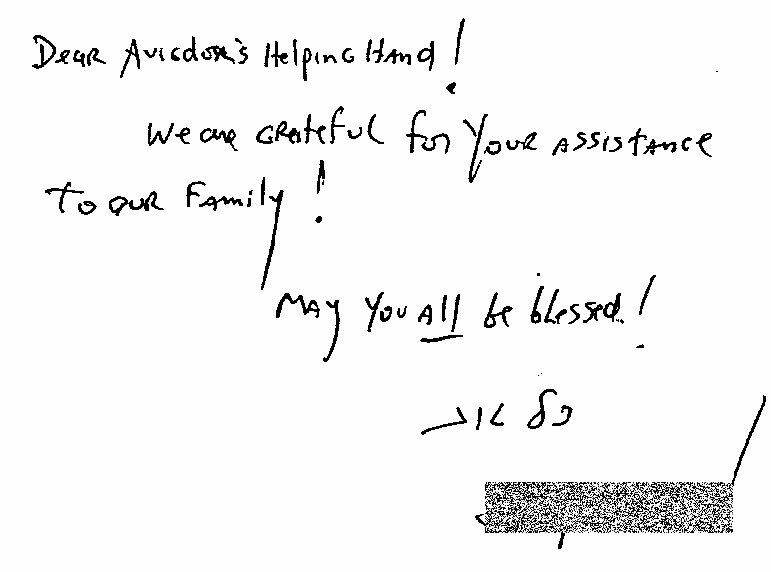 We can’t thank AHH enough for the generous grant that we received from Avigdor’s Helping Hand, on Shabbos. 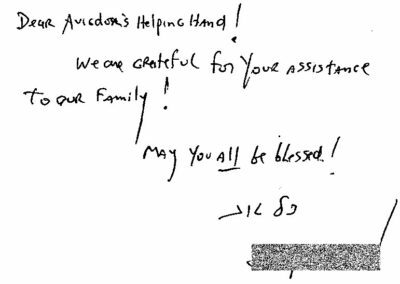 May you and the entire AHH team, and all those who volunteer for your wonderful organization, be gabenched for all you do for the widowed and orphaned.